Our 2018 NPR Tiny Desk Contest Entry! 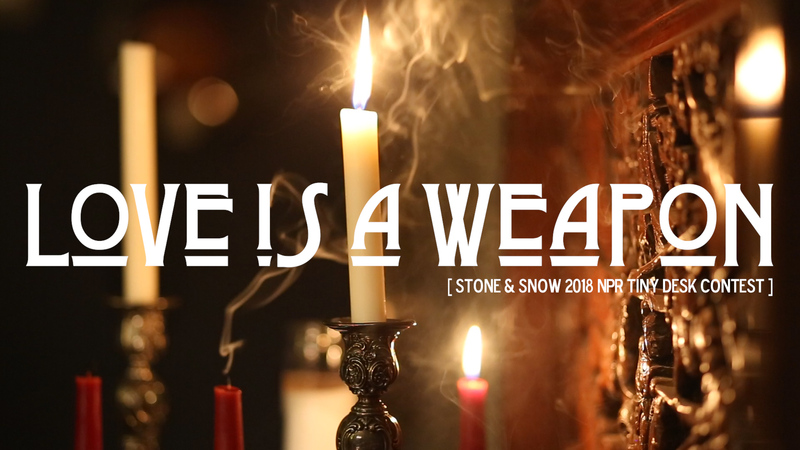 Love is a weapon. See if you can use it. We thought this was a timely song to submit for the 2018 NPR Tiny Desk Concert Contest– a contest where the winner is invited to perform at the official Tiny Desk at NPR Headquarters in Washington, DC. Check out this acoustic rendition with Clint on banjo and guests Chuck Hill on upright bass and Brian Rohr at the piano. Did it happen for a reason? Were you bolder, were you stronger?